A video project to raise awareness for McAlson's Belgian underwear. McAlson, a Belgian brand of comfortable & smart men's underwear, came to us to start using video marketing for the first time to improve their online marketing efforts and increase their reach internationally. StoryMe created a series of videos and used a main-micro video strategy to distribute them. Start watching to learn more! McAlson started 20 years ago and is now still a 100% family-brand managed by a father and his two sons. McAlson combines british preppyness, Italian finesse, French “je-ne-sais-quoi” and Belgian surrealism in top quality boxers for men. In line with the brand creators’ lifestyles and characters, McAlson adds a little craziness to its posh and high-end image. McAlson wanted to increase awareness in new markets, and especially in France. The brand was already established in Belgium, but they wanted to scale it internationally. 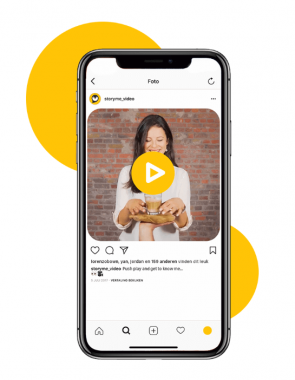 By creating new campaigns with video, they wanted to reach a new audience and eventually start increasing sales in this new area. We created 3 different videos to use throughout the year. A video to use during to the golf season, as McAlson has a capsule golf collection. A Christmas video, because that's when their product is bought most as gifts. We extracted social teasers, GIFs and cinemagraphs for distribution. From the main videos, different formats (square, landscape and vertical) and different video types such as GIFs and cinemagraphs could be extracted. Our video distribution specialist used these to guide people from social channels towards McAlson's website. Fill in the form and we'll get back to you within 24h with tailored advice for your business! The videos were used to raise awareness, especially in France. After three months, the campaign had reached a total of 213.591 video views at a very low cost per view! According to McAlson's Manager, existing customers also reacted really positively to the videos because they were a perfect extension of the existing photograph content, staying true to the family's identity. Do you want to see major results on your next Video campaign?